Happy International Champagne Day, all! If you follow wine media long enough you realize there’s a designated day for basically every country, region and varietal imaginable, but if someone wants to concoct an additional reason for me to drink Champagne, I will take them up on it. To celebrate this illustrious occasion, I was fortunate enough to take part in a comprehensive tasting of a selection of Taittinger’s impressive lineup of Champagnes, which was particularly special for two reasons: Taittinger’s International Business Developer Mikael Falkman had flown in from Sweden to lead us through it, and it was the inaugural Alberta release of the astonishingly rare and collectible 2008 Taittinger Collection Series, a bottle unlike any other I have seen to date. Adding to the auspiciousness of the event was that it was held in the Skybridge of the spectacular new National Music Centre in Calgary, an event space suspended over a road and constructed as a piece of living art, complete with a ceiling fixture made from old instruments that emitted a continual buzzy tune aligned with the vibrations of the building. Suffice to say it was not your usual Friday. Mikael Falkman, Taittinger; impeccable brand ambassador. 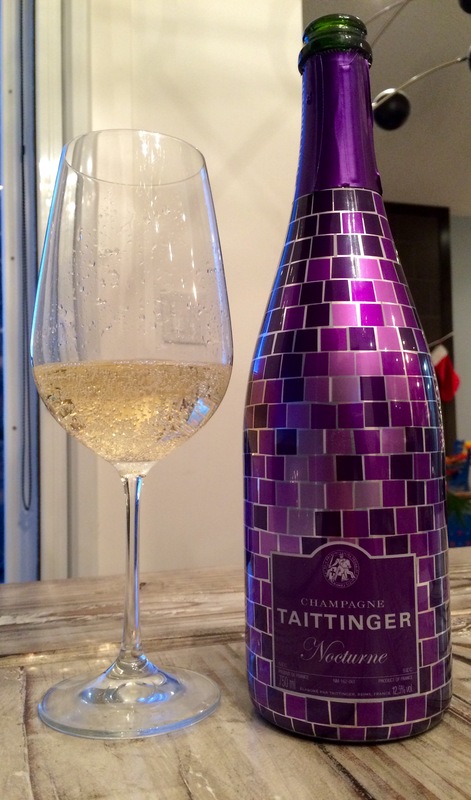 Taittinger has been around for nearly a century but is particularly catching fire in my neck of the woods right now as the fastest growing Champagne brand in western Canada. Founder Pierre-Charles Taittinger was a soldier who was wounded in battle in World War I and who recuperated in a town in Champagne, in a memorable old castle that was being used as a command post. He grew to love the area so much that he vowed he’d return someday and buy the castle, and he did, taking over the chateau and its vineyards in 1932 from Champagne house Forest-Fourneaux and rechristening it in his family name. Taittinger stayed in the family until 2005, when it was sold (over the objections of one family member, Pierre-Emmanuel Taittinger) to Starwood Capital Group, which owns the Starwood chain of hotels. The purchasers’ interest was largely in other portions of the Taittinger empire, which included hotels and a parfumerie, and the Champagne business was shortly on the market again. Pierre-Emmanuel Taittinger managed to get a financing group together and bring the house back to the family that gave it its name, a move that may have saved both the family’s legacy and the quality and reputation of the brand. You just can’t look away. First things first: this is a bit of a milestone occasion for this blog, as it marks the very first sparkling wine review in the near-250 published posts on Pop & Pour. Actually, no — first things first: would you take a look at this bottle!! This thing is bling squared. With New Year’s Eve on the horizon, Taittinger has released special “Disco” packaging of its normally slightly more sedate-looking Nocturne Champagne, and it’s about as celebratory as you can get…mine actually came with little disco ball ornaments attached. Awesome, and totally fitting for this blog’s inaugural sparkler write-up festivities.